The event was organized by Etisalat IT Vendor Management Office where all Etisalat IT partners were invited to share Etisalat IT strategy for 2016 and to recognize all partners' efforts during 2015. This was the second annual awards ceremony organized by the Etisalat Misr IT Department gathering their different IT vendors such as IBM, TERADATA , EMC, HP , Oracle, Accenture, Microsoft, Huawei and others. The awards addressed a variety of performance and relationship management metrics including engagement activities, service quality, risk management, innovation and operation excellence. The highest category award was 'IT Partner of the Year'. "We aim to offer superlative services to our customers in Egypt, and to achieve this we rely on our vendors," said Khalid Al Mansouri, Chief Information Technology Officer of Etisalat Misr. "We continue to organize this event annually to recognize our trusted partners. 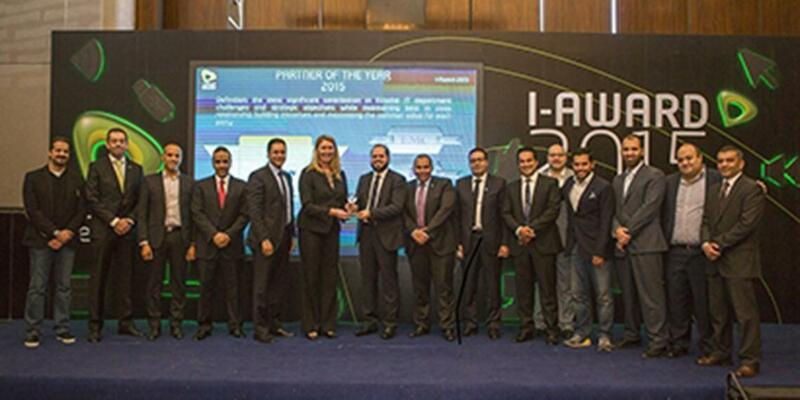 We would like to congratulate Ericsson for winning 'IT Partner of the Year' for the second year." Khalid Al Kaf, IT Infrastructure and Operations Director at Etisalat Misr, added: "Our partnership with Ericsson has showed great value add when it comes to offering our customers flexible and convergent offers where they can enjoy being in control of their data packages whether it is for fixed or Mobile Broadband." Helene Henriksson, Head of Ericsson Egypt, said: "At Ericsson, we are committed to paving the way for life in the Networked Society, which is why we are committed to offering the best services and solutions for our customers. Over the course of our successful partnership with Etisalat, we have introduced first of its kind technologies in the region, and we look forward to working with them for many years to come. We were thrilled with this recognition for the second consecutive year." The selection criteria for the awards was based on the vendor's strategic alignment with the IT department of Etisalat Misr vision and strategy in addition to flexibility in commercial models, support and quality during implementation and presales, product and services quality as well as business partnership understanding.